John Wayne Parr is fighting Matthew Richardson at Caged Muay Thai 9 on Saturday, December 3, 2016 on the Gold Coast. 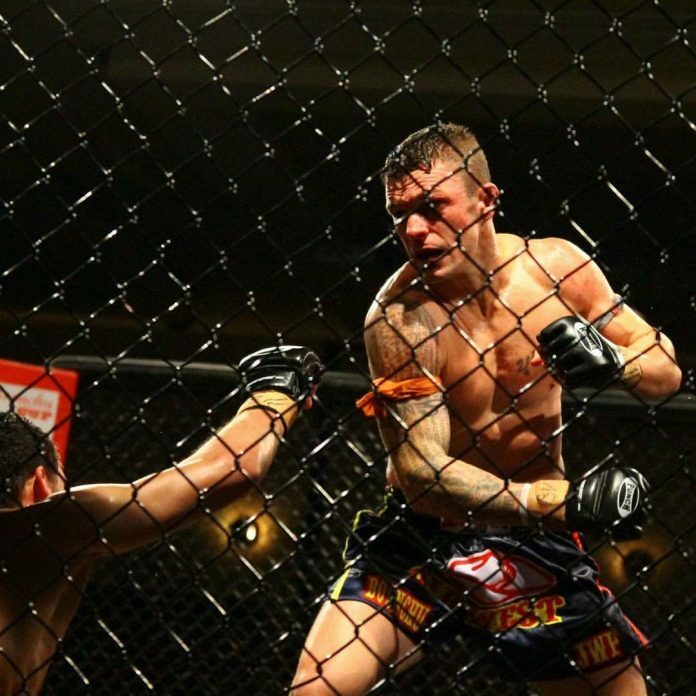 Muay Thai star from Australia John Wayne Parr, 40, finalizes the season. He is indeed always fighting. His latest bout was on October 22 in Perth when he battled out against Daniel Dawson in their decider fight. In June Parr fought in London and basically outclassed Pavlos Kaponis of Greece. Parr’s latest fight at Caged Muay Thai was in March. He faced off New Zealand’s Brad Riddell who earned the decision. The next contest for JWP is Matthew Richardson. The 26-year-old Canadian athlete based in Thailand seems to be the real deal. He is no new to fighting in MMA gloves either. According to Sherdog Richardson holds the 1-1-0 record in MMA. Furthermore in 2014 he took on eminent Sudsakorn Sor Klinmee at Thai Fight event. Even though Richardson faced a decision loss, the bout went on distance. Moreover it went ahead under the rules of Kard Chuek. This is when the hemp rope is used for hand-wrapping. No boxing gloves applied, consequently making it almost a bare fist punch on. John Wayne Parr vs Matthew Richardson is scheduled for 5×3 mn rounds at 74 kilograms. In addition on the night Thailand’s Ghot Seur Noi is going up against Liam Brough of England. Also on the card, Benny Mahoney is taking on Franz Sanchez.